Back in June I participated in a blogging event called #CookoutWeek with a ton of other bloggers. I found so many recipes that I wanted to make, it was unreal. But one of the first ones that stood out to me was Pimiento Cheese Burgers made by Denise who writes Addicted 2 Recipes. 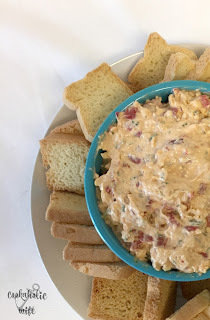 I’ve heard of pimiento cheese before, mainly on Food Network and I knew it was a pretty southern dish, but I’d never had the opportunity to try it. It actually took me 4 tries of making the above recipe before I managed to get both the dip and the burgers made well enough to photograph and share with you. While they may have not been photograph worthy before, that had nothing on the taste. They were absolutely incredible and I assume that’s why Tom didn’t care that we had these two weeks in a row! Today I’m just sharing the dip recipe with you because I quickly found that while pimiento cheese dip is the perfect accompaniment to a burger, it also stands up very, very nicely on it’s own simply as a dip with crackers and veggies. In fact, the last time I served it everyone said they preferred it slathered on a stalk of celery than on a cracker. Now that’s really saying something. 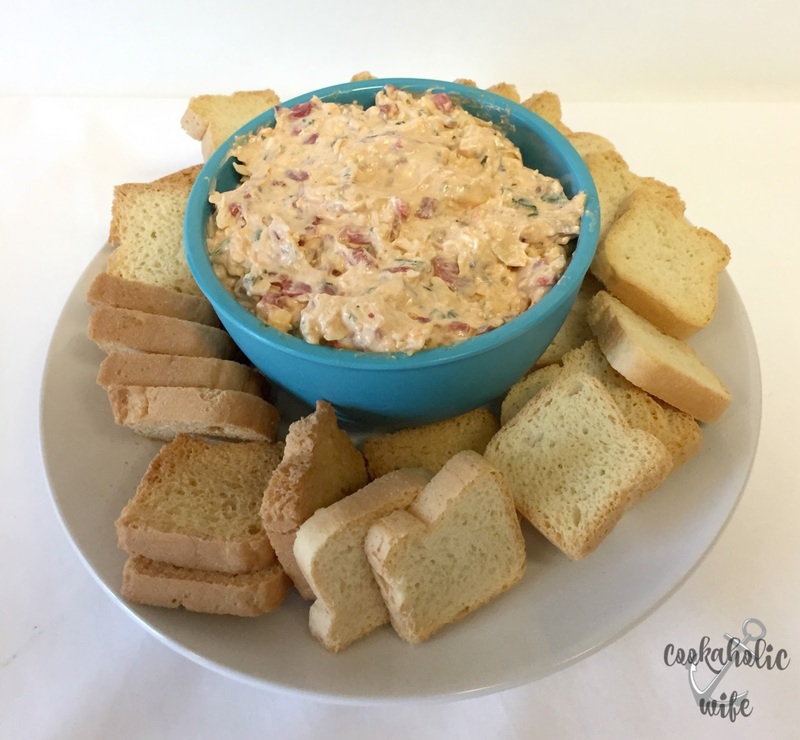 A southern staple, this pimiento cheese dip is great for any gathering or slathered on top of a burger. 1. In the bowl of your stand mixer, combine the shredded smoked gouda, cream cheese and mayo. Beat on a low speed for 1-2 minutes or until just combined. 2. Stir in diced pimientos, red onion, parsley, smoked paprika and black pepper by hand until combined. 3. Serve with crackers or veggies. The flavors of this recipe only intensify if you make it the night before and allow it to rest in the fridge, just make sure to pull it out at least 30 minutes prior to serving so it softens up enough to dip crackers or veggies into it!